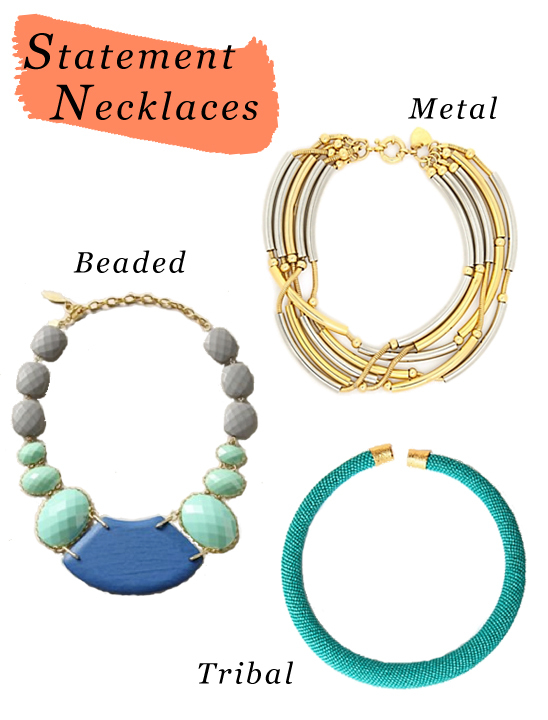 Statement necklaces are a great way to make an everyday outfit effortlessly chic. Some of our favorite looks include mixed metal, colorful beads and tribal chokers. Surprisingly versatile, bold necklaces can be worn with a casual T-shirt or add even more glamour to an evening look. These necklaces are fun for summer and will continue to look fresh throughout the fall season.